"Ball about to be tossed up at centre" (Senda Berenson holding ball). Illustration for 1903 edition of Basket Ball for Women. Photograph by Katherine E. McClellan. Smith College Archives. 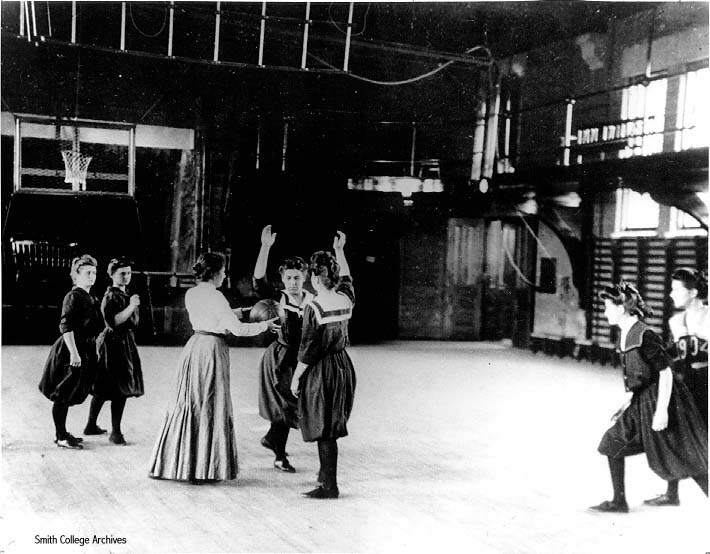 For more images of Smith College, see the Smith College Archives Image Gallery.